Our Fine Rice Flour is super-fine ground long grain white rice that is allergen-free, gluten-free, Kosher, and non-GMO. Honeyville's Fine Rice Flour is finely ground, long-grain white rice. It’s perfect for those maintaining a gluten-free diet. Rice flour serves as an excellent replacement for wheat flour in baking and does not distract from the natural flavors already present in a recipe. Fine Rice is also great because it’s non-allergenic, making it valuable for any who are sensitive to gluten. Rice Flour is a great source of potassium, with 115 mg per serving. There are about 360 calories in each serving for those who may be calorie-conscious. In addition to its health and allergen-free benefits, flour made from rice is easy on the digestive system because of its low fiber content. 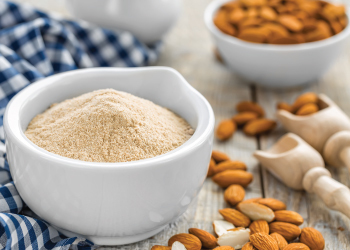 Make Fine Rice Flour your choice when making crepes, pancakes, pudding, and other types of desserts. It can be used for dishes that require frying for an alternative to all-purpose flour. Since bread made with rice flour, which is gluten-free, does not rise like bread containing gluten, you’ll find that baking smaller loaves may be to your advantage. 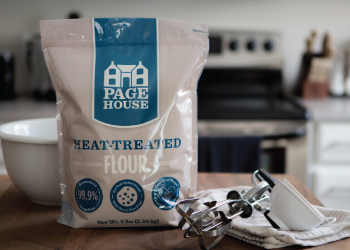 In addition, using gluten-free vinegar or ascorbic acid will help with gluten-free flour rising. Shelf-Life: Fine Rice Flour will store for 1 year in a sealed 50 pound bag under ideal storage conditions (cool, dry place). Uses: Substitute Fine Rice Flour with any recipe calling for flour to make healthy gluten-free baked goods. May also be used to produce rice pasta, chips and breakfast cereals. Visit our blog In the Kitchen with Honeyville to find delicious recipes for Fine Rice Flour and more! Packaging: Fine Rice Flour in bulk is available in a 50 pound bag. Packaging may vary.